home → Loans → Hard Money Loans → What Is a Hard Money Loan? A hard money loan is an alternative means of borrowing apart from the traditional lending industry. With a hard money loan, the terms will be different as well as the process. 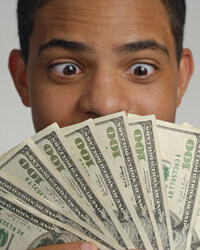 Hard money loans are commonly overlooked as a source of financing by most borrowers. However, it can be a productive way to borrow the money that you need. Here are a few things to consider with hard money loans and how they work. To fully understand what a hard money loan is, you have to understand what a hard money lender is. With a hard money lender, you are dealing with an individual. With a traditional loan, you are dealing with a bank or a lending institution. Hard money lenders are private investors that have extra money to lend. They want to get a better-than-average return on their investment and they are willing to lend. Instead of investing this money in stocks, bonds, or some other security, they invest in the needs of borrowers and their property. They make a habit of dealing with people in distressed situations. Those that are in distressed circumstances are the only people that are willing to pay the high interest rates that are required. The approval process of a hard money loan is very different from the approval process with traditional loans. With a traditional lender, they will strongly weigh factors like your credit score, your income, your employment stability, and your past payment history. With hard money loans, the investor will not look at those things so intently. They will want to make sure that you can pay them back, but they will look much harder at the property itself. They will want to know that they can get their money back out of the property if the borrower was to go into default. Therefore, they will want to know that the property is worth something and can be easily sold. The lending criteria with a hard money lender are not always uniform. Many of them will look at each situation differently and be willing to loan different amounts for each one. If they think it is a good deal, they will make it. If they do not like the deal, they will stay away. On almost every deal, they will loan a low loan-to-value ratio so that they can make sure that they get their money back. The terms of a hard money loan are usually much different than the terms you will receive with a traditional loan. For one thing, the hard money loan is typically designed to be a short-term loan. A common time period for a hard money loan is two years. Most of the time, these loans are set up as balloon loans. You pay only the interest payments through the repayment period. Then at the end of the loan period, you are required to pay the entire amount of the loan. This is ideal for those that can refinance the loan into a more traditional loan during that time period.